It goes without saying that Pet Sematary (the movie) really did have some of the most chilling moments in 90s horror. This is a recommendation for the book, however, which I think may be one of the few I’ve read that was practically identical to the film in all the right ways. Except for the soldier scene, which I would’ve loved to see in the film, but that’s a whole different kettle of fish I might get into later. It’s very short, a simple but fun read, and probably one of the less–how should I put it? Colorful? Vulgar? It’s one of Stephen King’s less foul-mouthed works from the time. 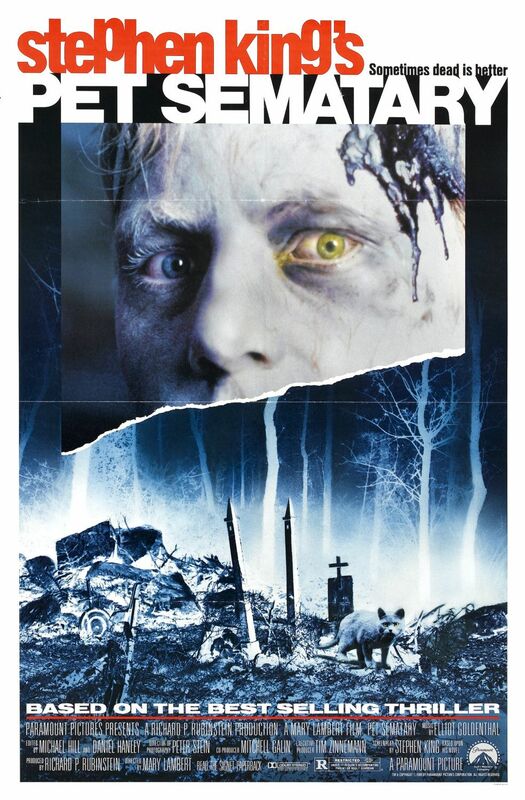 I don’t often walk down the King road these days, but Pet Sematary will always hold a place in my heart, with its incredibly dark themes, and the basic idea that there is no true return from death. No matter what. Doctor Frankenstein couldn’t seem to accept that, and neither does Doctor Louis Creed. Both of them learned the hard way. A beautifully grim lesson to anyone who decides to dabble with the forces of life and death. The fact that the framing story to this is a Hansel and Gretel-esque tale with a witch preparing to cook a little boy to serve at her supper party makes this an absolutely delicious watch for the Halloween season, and I think it does the series it’s associated more than justice (in fact, it’s actually considered a spiritual successor to Creepshow, too.) I can’t praise this movie enough. For the love of god, if you haven’t seen it yet, watch it this year as soon as humanly possible.